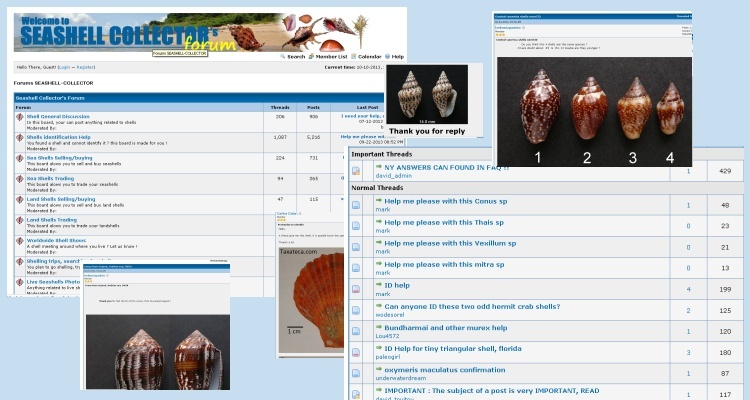 If you need further help or request any identification of your shells, please use the appropriate board on our Forum. Members will help you. Many Thanks to all our members and especially to Paul Monfils & Dave R that regulary identify shells on the forum. Thanks guys !